The commission composed of archaeologists from various countries aims at discussing and sharing information about all aspects of preventive archaeology. 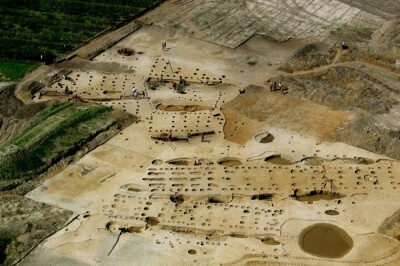 We understand it as consisting of two main parts: (1) set of actions recalling modern understanding of the protection of the archaeological heritage, which foresee how to avoid destruction of archaeological remains and monuments, and (2) undertaking of rescue excavations of archaeological sites in development-led archaeology. So defined preventive archaeology includes among others: (a) legal basis and rules for implementing preventive archaeology, (b) organizational forms of preventive archaeology contractors (including private, local and state institutions), (c) successive stages and ways of organizing the non-destructive surveys and rescue excavations, (d) methods of non-destructive prospection, excavation and field documentation, (e) scientific results of non-destructive surveys and rescue excavations, (f) interdisciplinary dimension of preventive archaeology, (g) storing of relics obtained during the rescue excavations, (h) popularization of research results in internet and traditional media, (i) the role of preventive archaeology in spreading knowledge about the archaeological and cultural heritage in society, (j) lobbying at various levels of government institutions to improve the working conditions of preventive archaeology.